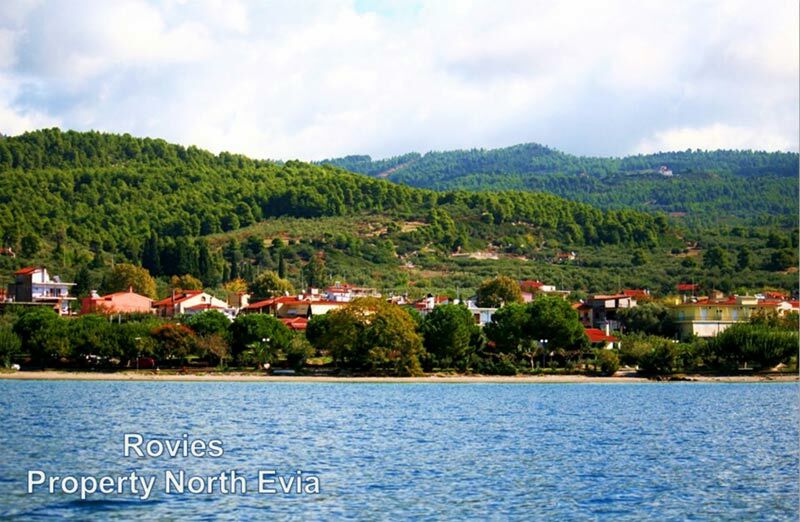 Rovies is a coastal village, 96 km. 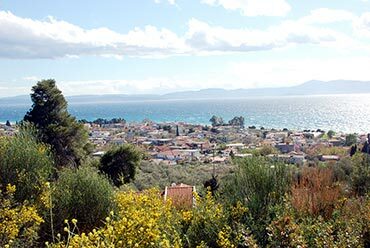 north west from Halkida. 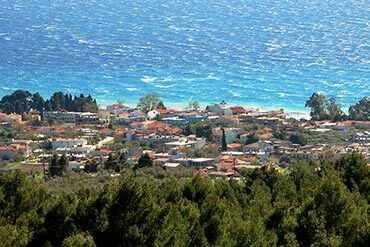 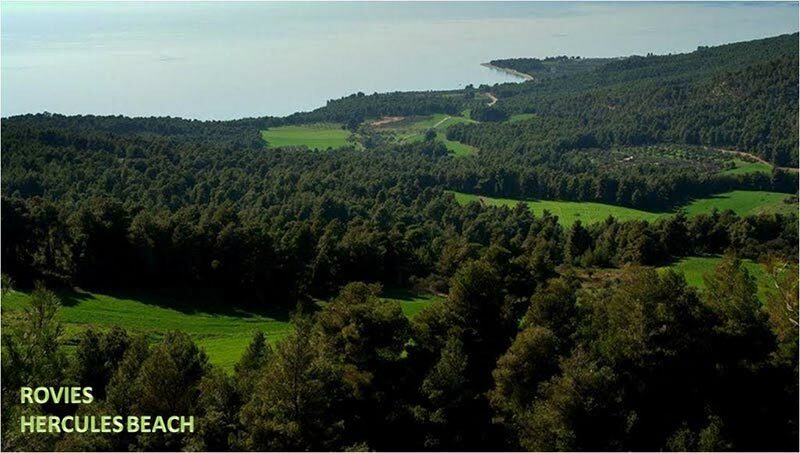 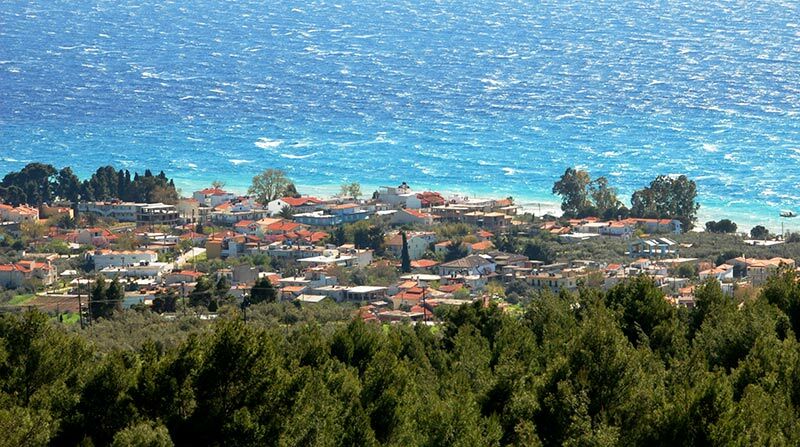 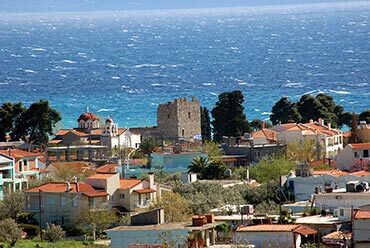 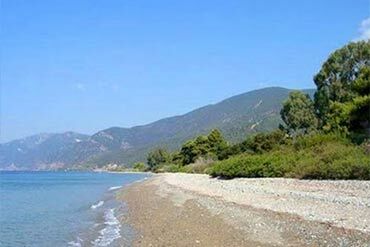 It belongs to Elymnion municipality and is situated 9 km north from Limni and 15 km southeast of Edipsos. The whole area is covered in rich fauna and each house has it’s own big colourful garden. 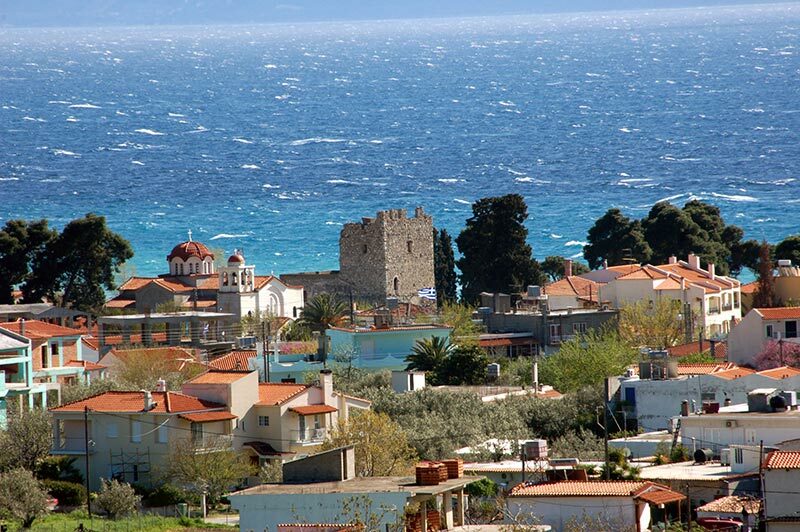 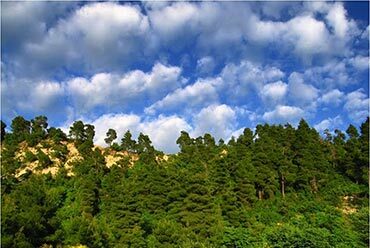 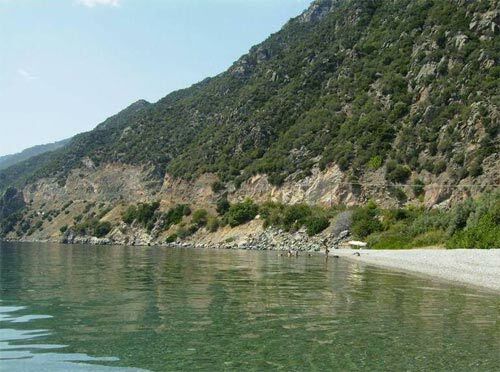 It is one of the most interesting places in North Evia, with rich vegetation and beautiful landscapes. 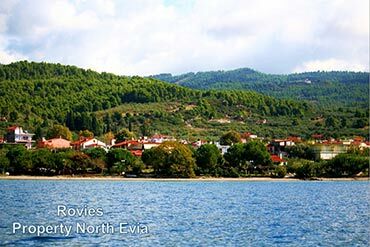 Rovies is ideal for relaxation and tranquility, swim, water sports and fishing. At a close distance from Hotel Agnadi, is Rovies village, with many shops and supermarkets for your daily shopping. 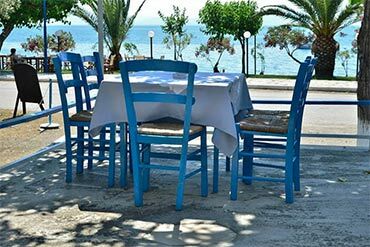 You can also find a great selection of tavernas with a traditional atmosphere and cuisine, good home made food and local specialties. 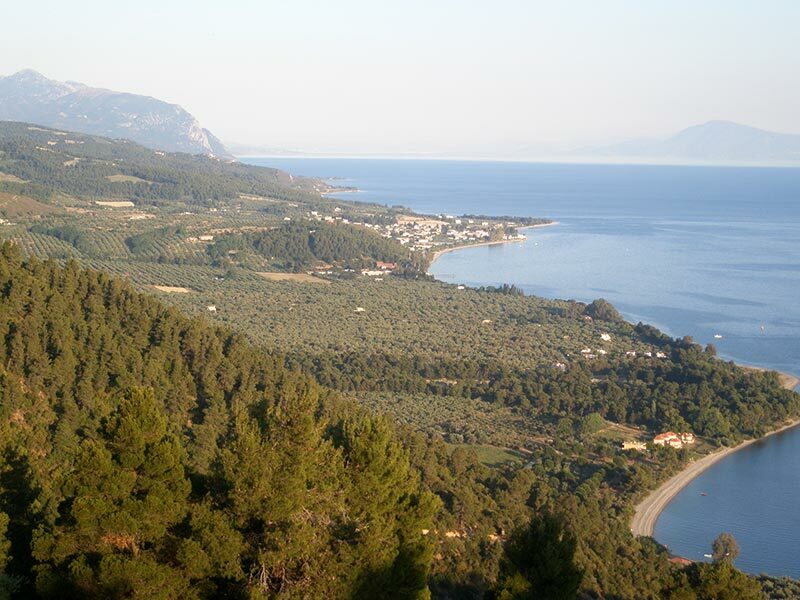 You can buy local products, such as honey, royal jelly, olives, oil, home made noodles, pasta and many others. 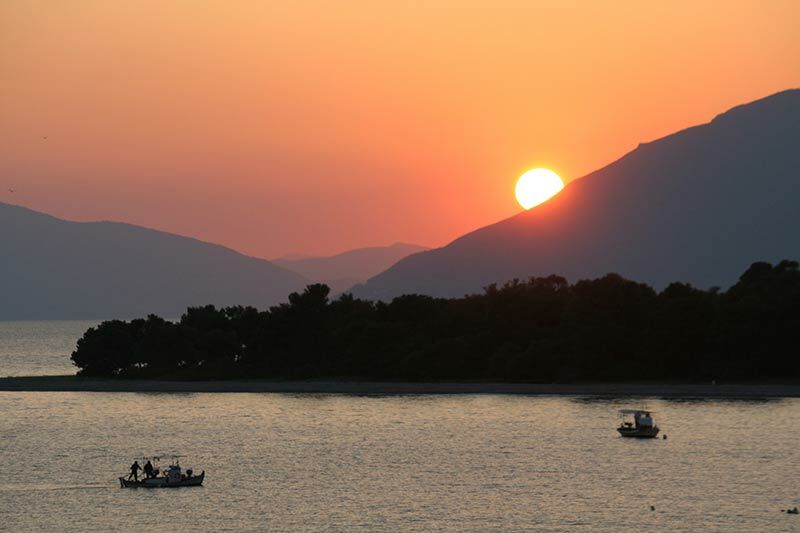 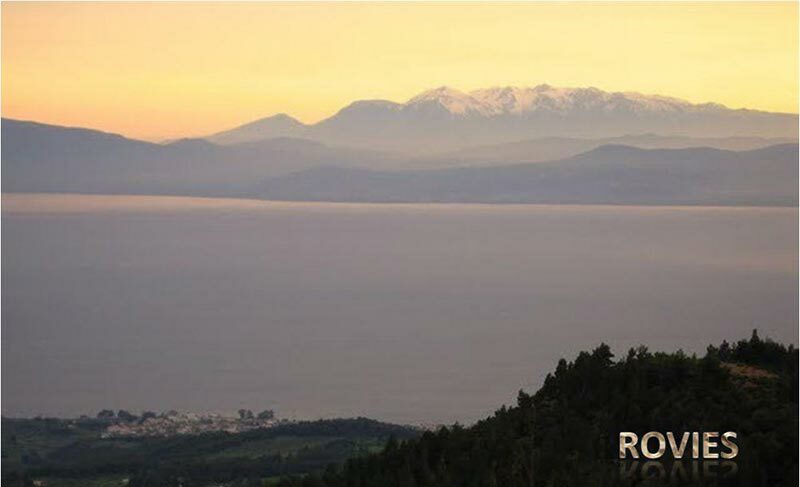 Rovies is famous for the exceptionally beautiful sunsets, that capture the imagination and soul. 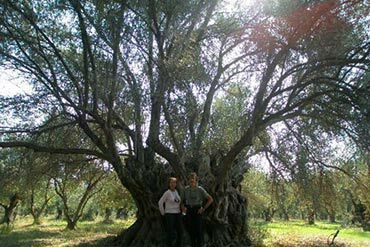 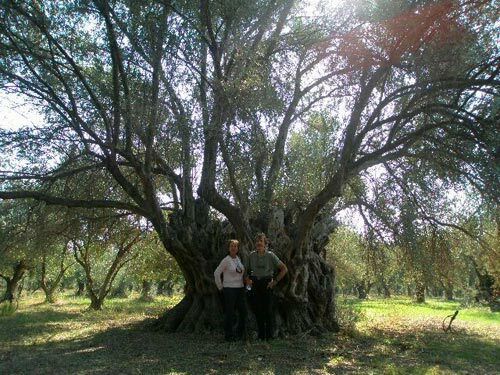 In the big olive grove, the local oil association produces olive oil and the famous stuffed olives, of exceptional quality, that are exported all over the world. 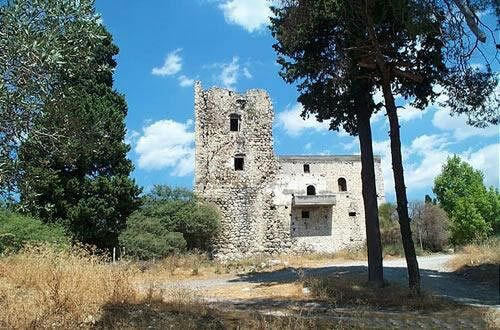 One interesting option for exploring the area, is the Venetian castle, that is found in Rovies. 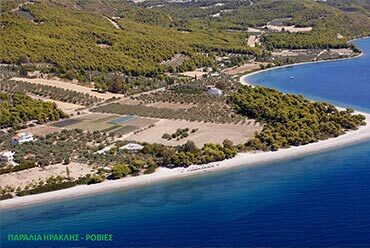 From the village there are several paths, that are leading through rich vegetation, to impressive sites of exceptional beauty and ecological importance. 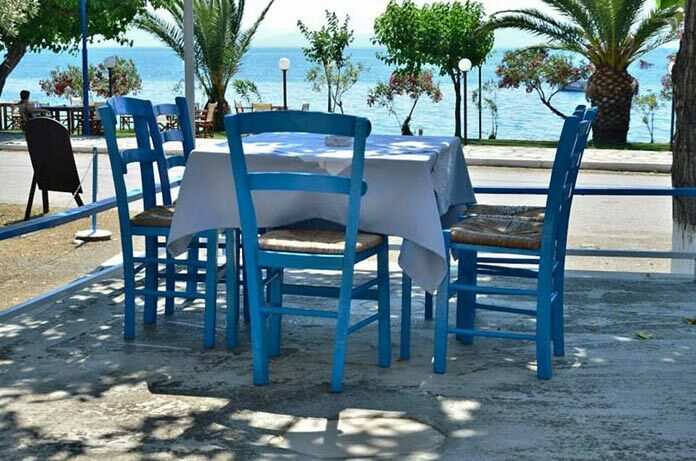 After the swim in the main beach of Rovies, you can enjoy tasty delicacies at the little tavernas, that are next to the sea. 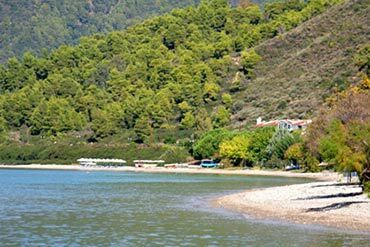 Rovies is the ideal destination for relaxing and tranquil holidays next to the sea. 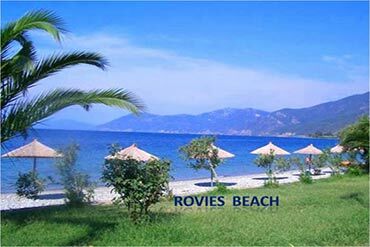 Visitors to Rovies will find peace and quiet, in a friendly and warm environment. 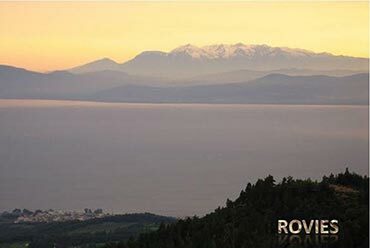 At Rovies you will have the chance to taste the tasty products of the local bakeries, along with traditionally made bread, sweets, pies and cakes. 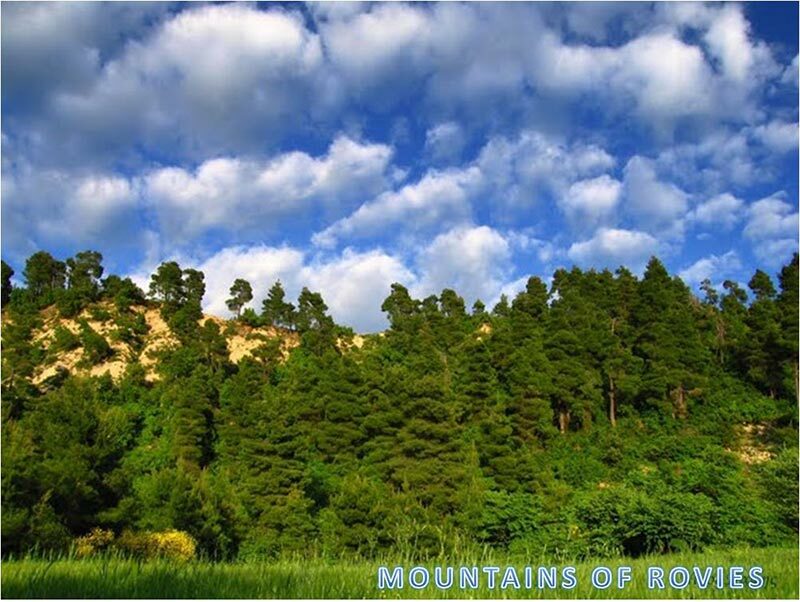 Rovies is identified with the ancient city Horoviae. 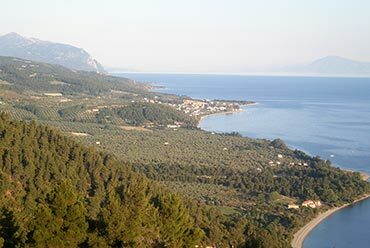 According the historian Thoukydides and the geographer Stravon, the city was existed next to city of Aeges, were Hercules and Apollo, were worshiped. 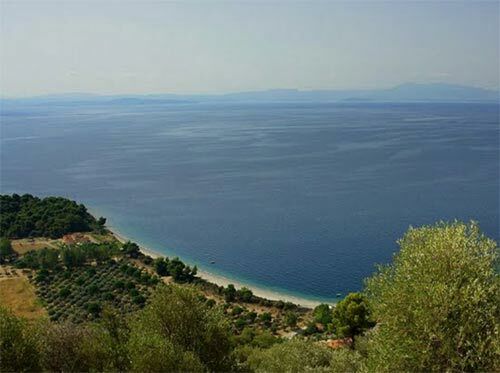 In honor of the latter was a famous oracle, known as the Selinundios Apollo Oracle, which according to the written scriptures of Stravon was situated in Rovies. 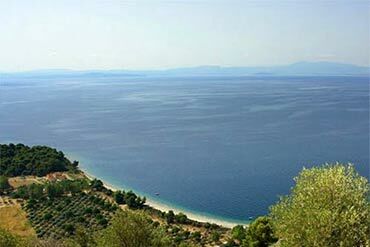 According Thoukydides The city of Horoviae was destroyed by disastrous earthquakes and the resulting tidal wave, during the 6th year of the Peloponnesian war (426 bC). 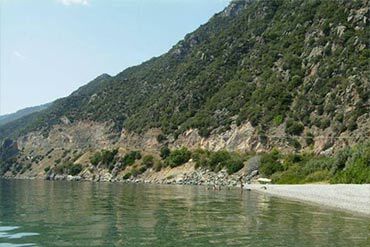 Only few of the people were saved and the settlement was moved to the place known as Paleochori, as is shown by the ancient findings in this area. 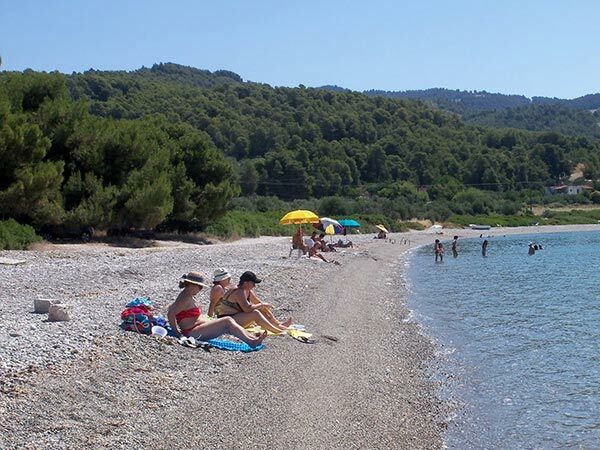 The Rovies beach is situated in front of the hotel and towards the village, and since 2009 the hotel offers umbrellas and sun beds as well variety of drinks from the hotel’s cafeteria. 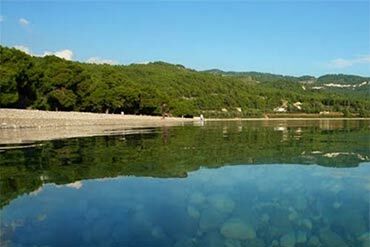 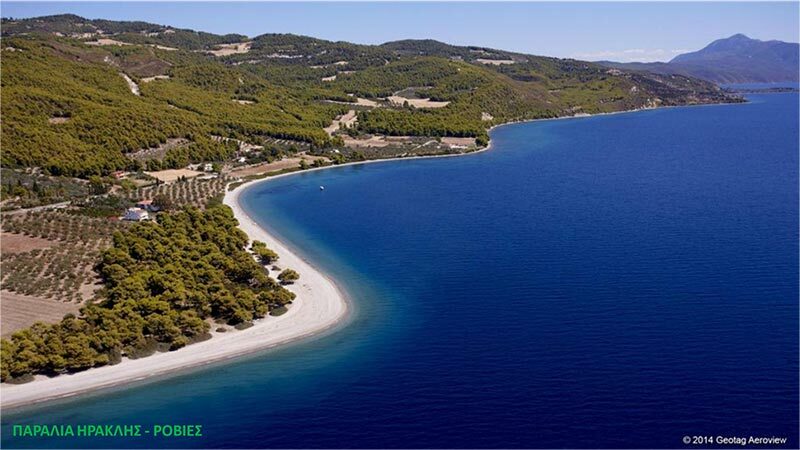 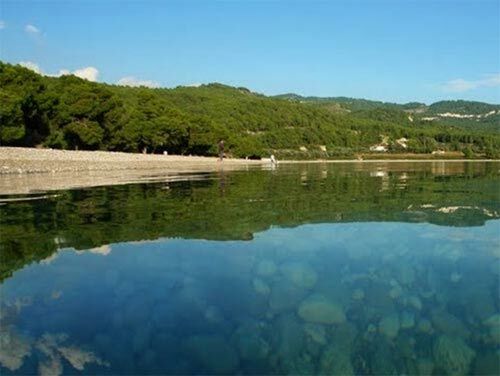 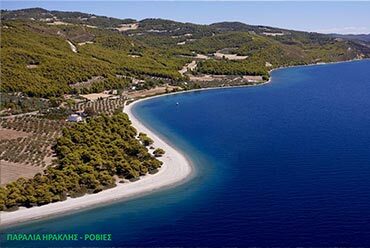 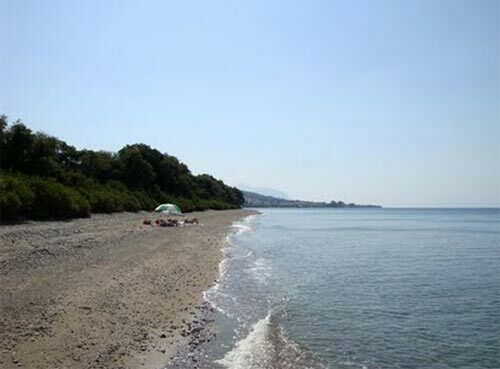 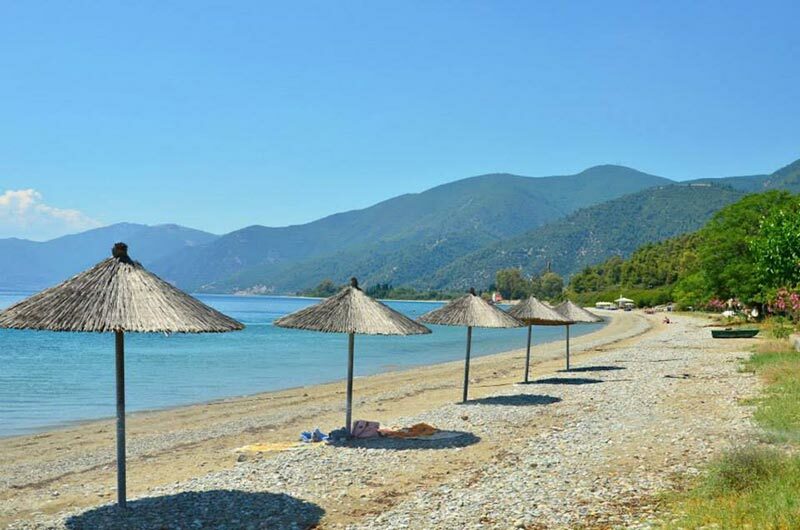 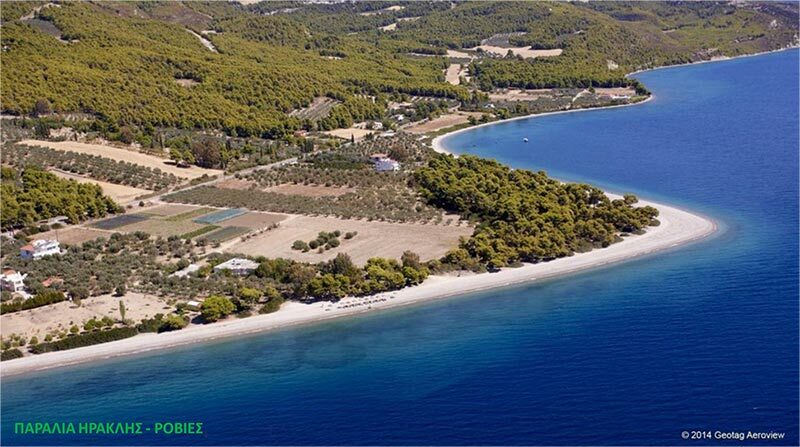 The Hercules beach is one of the most beautiful in Rovies and is situated right after the village towards Limni, and is just 15 minutes walk away from the Agnadi Hotel. 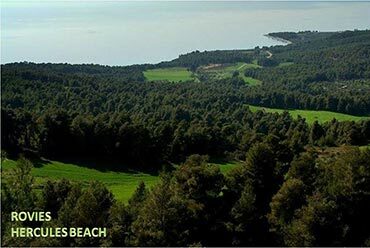 One aspect of this beach as you can see from the photo is its rich vegetation. 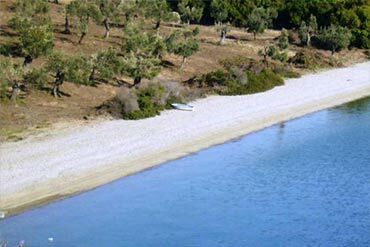 Eleonas Beach / Potami ( river ) is situated outside the village towards Edipsos, and its name is derived from The Olive Grove (eleona) of Rovies. Characteristics of this beach is the tranquility, where even in August you might find your self to swimming alone. 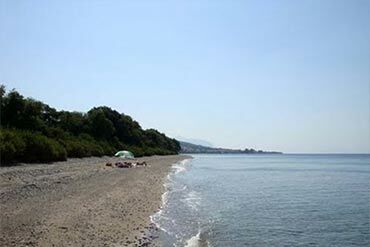 The most beautiful part of this beach is around the mouth of the small river Gerakas. 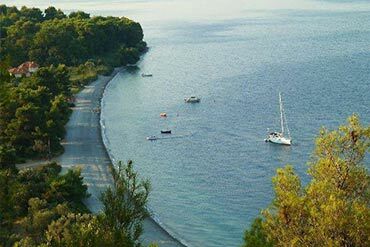 To reach Eleona beach, we follow the country road that passes in from of the hotel towards Edipsos (10 minutes by foot). 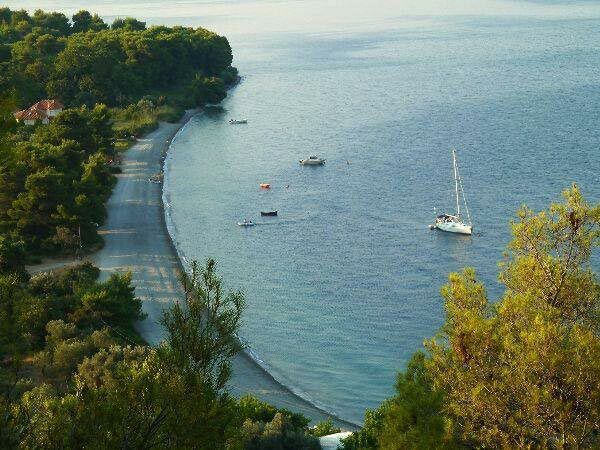 To reach the beautiful Kamini beach, we follow the country road that passes in front the hotel, towards Edipsos. 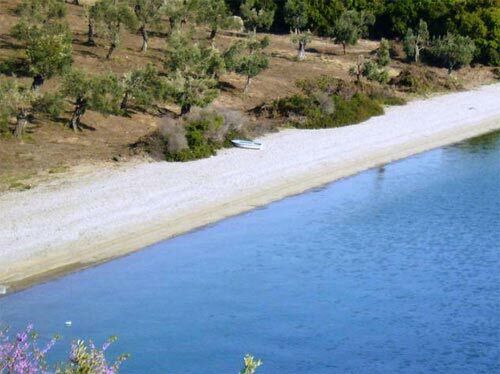 We pass the olive grove of the village and little bit before we get to the main road to Edipsos, we have next to us the beach Kamini ( which is 20 minutes walk from the hotel ). 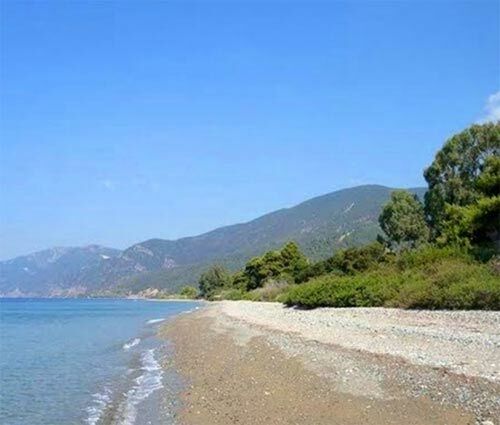 Taxiarhis-Kataskinosis beach ( Children Camping Center ) is situated in a very quiet and tranquil place, at the outskirts of Rovies on the road towards Edipsos. 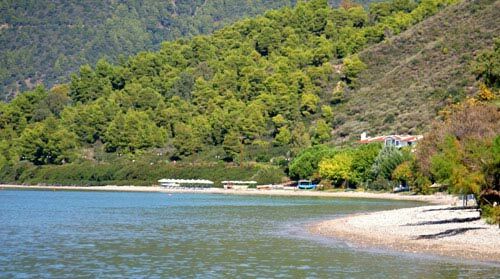 Because of its splendid natural beauty, the place has been chosen by the Evoean Church to operate the Children’s Camping Center. 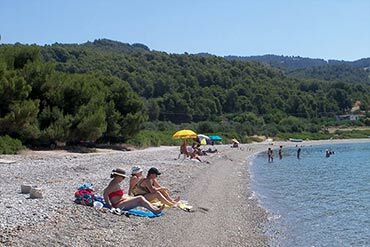 The beach is right after the facilities of the Children’s camping ( 5 minutes by car from the hotel ).